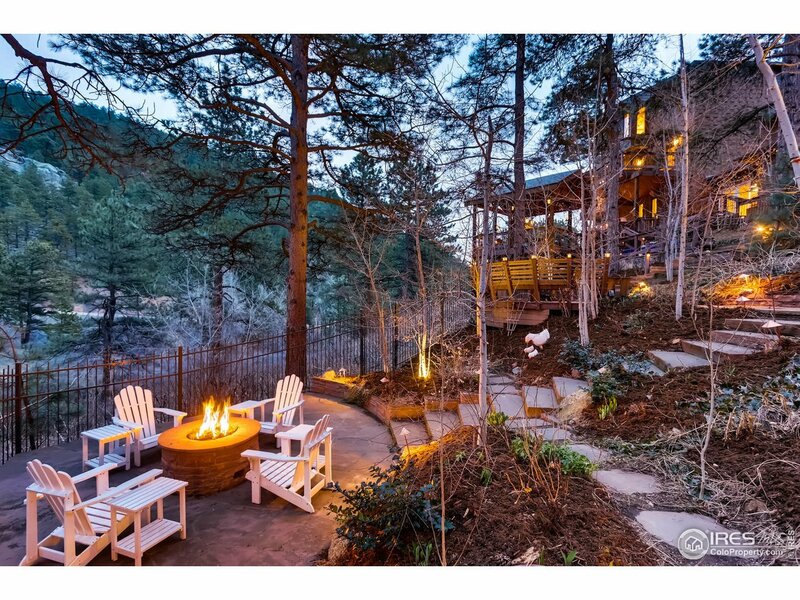 This home encompasses mountain living at its best with a 5 minute drive to Pearl. A spectacular custom built home with stunning curb appeal, extravagant landscaping + one of a kind architecture. Built to entertain with outdoor amenities including a full kitchen, bar with beer tap, several dining areas, two gas fireplaces, lit bocce ball court, flat yard space with water feature and all being enclosed with 6&apos; iron fencing. Two car attached + four car detached garage. Walking distance to trails!